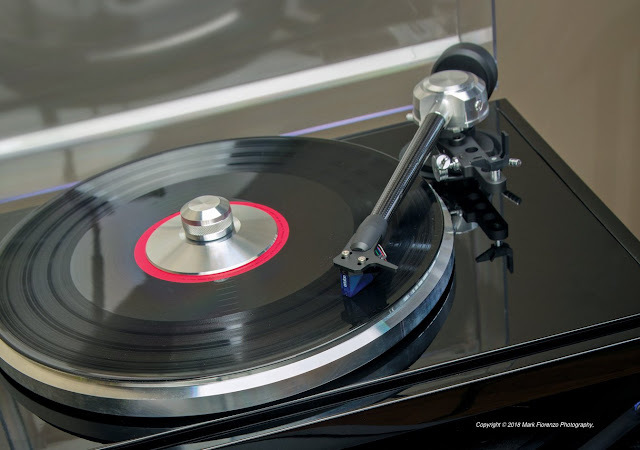 The EAT B-Sharp is a most enjoyable moderately priced turntable that does most things correctly …within the price category. Its speed accuracy and consistency made listening pleasurable and relaxing. Imaging was stable and well-defined as was soundstaging. The ‘table and Ortofon Blue produced a satisfying spread and good sense of depth. In terms of colorations, as the tap test indicated, the B-Sharp tends toward a slight warmth in the upper mid-bass but the lower octaves are well-presented and bass through a system no doubt more robust and extended than with which this turntable is likely to be matched was well-controlled overall, deeper than expected and only slightly exaggerated. I can say is that you won't regret buying this one. Naturally its for sale in our store. Explore the B-Sharp.